Three main ingredients and four easy steps. That's all it takes to create our take on the all-time favorite 'mash.' 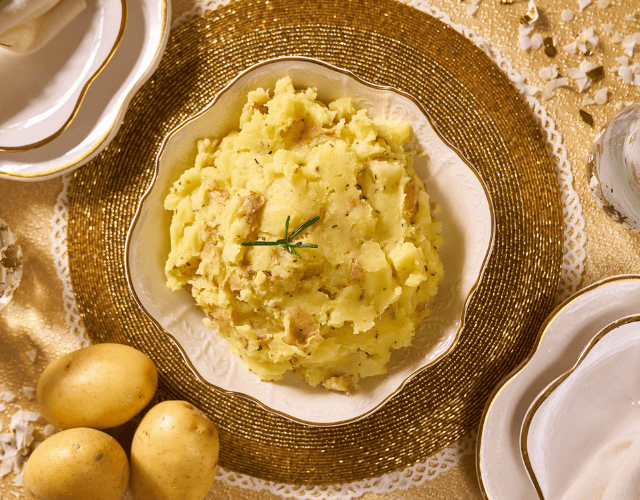 With the help of the Green Giant™ Fresh Goldust® potato—a firm potato with a natural buttery flavor—our mashed potato recipe has a creamy potato flavor and doesn't require the addition of unnecessary calories. The growers of Green Giant™ Fresh, a branch of the beloved produce brand Green Giant®, adhere to stringent growing, harvesting, and safety standards. 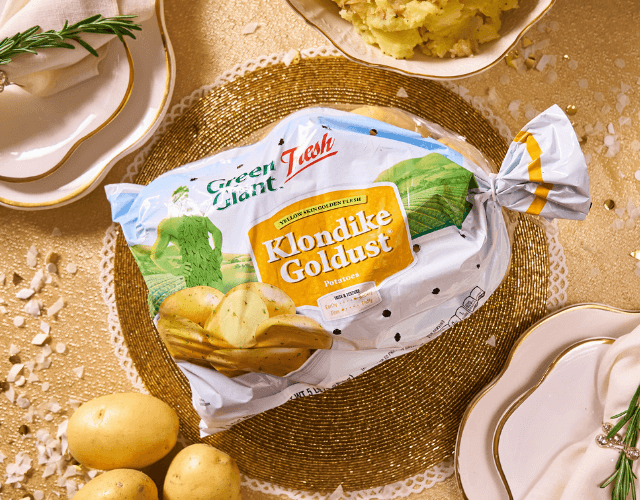 Continually expanding, their product line spans 200+ goods across the majority of fresh vegetable categories, including ther line of Klondike potatoes! 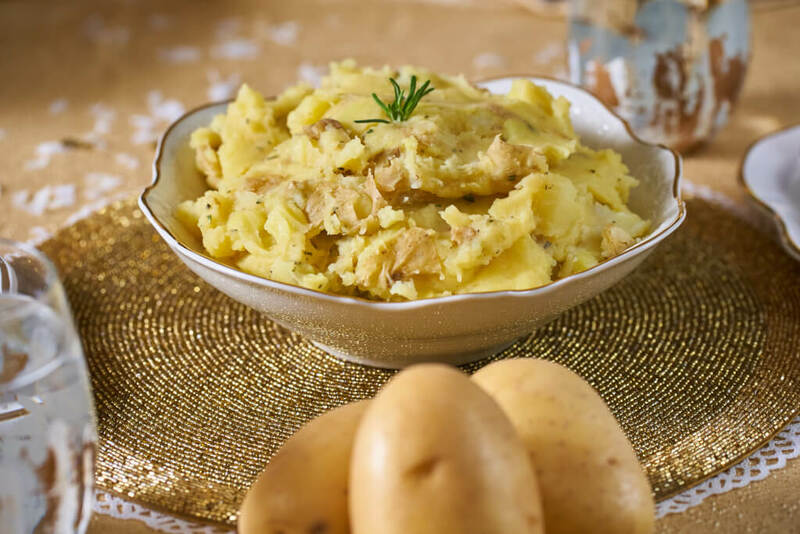 Historically, potatoes were at times almost worth their weight in gold. Cheap, nutritious, and convenient, they remain valuable assets to any pantry. Most importantly, they are filling and nutritious! Learn more about the health benefits of eating the filling potato A-Z Food Guide. Have a smashing time with our take on a family dinner classic! Rinse Goldust Potatoes and cut into uniform cubes. To a large pot, add potatoes and cover with cold water. Bring to a boil and simmer potatoes until fork-tender and drain. 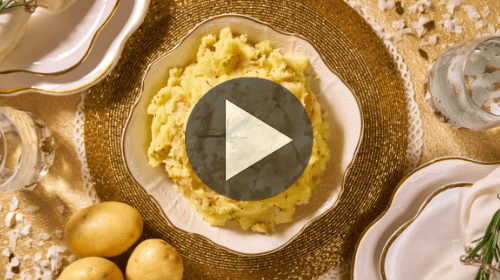 Mash potatoes with ricer or potato masher. Add minced garlic, and vegetable broth one cup at a time, and continue to mash. Taste potatoes and add salt & pepper as necessary. Enjoy!